Continental Street Market returns to Wrexham town centre this week! 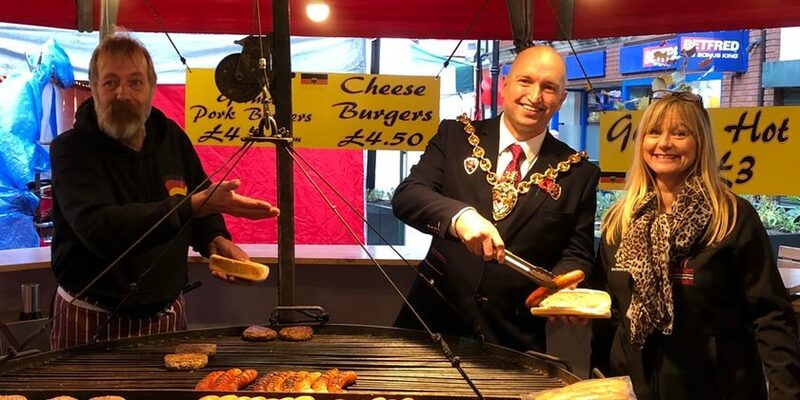 A Continental Street Market showcasing cuisines from across the world will return to Wrexham town centre this week. Over the next four days (Wednesday 20th – Saturday 23rd March) Hope Street, Regent Street and Queen Street, will play host to international themed traders selling street food, hot and cold produce and unusual craft items. Operated by RR Events, a Liverpool based Event Management company specialising in special events and themed markets, the market will take place each day between 10am and 5pm. It is the second time the Continental Street Market has visited the town centre, having attracted huge crowds and positive feedback during its first trip to the town in November 2018. Cllr Terry Evans, Lead Member for Economic Regeneration, said: “This is excellent news and a further boost to the town centre economy. “The popular market will see many visitors whilst it is here who will also be able to browse the markets and town centre. Tomorrow also sees the first Wales International match in ten years being held at the Racecourse ground with Wales taking on Trinidad and Tobago. Read 1,220,967 times in last 30 days. Read 1,220,967 times in last 30 days, and 73,820,382 times since we started in 2011.